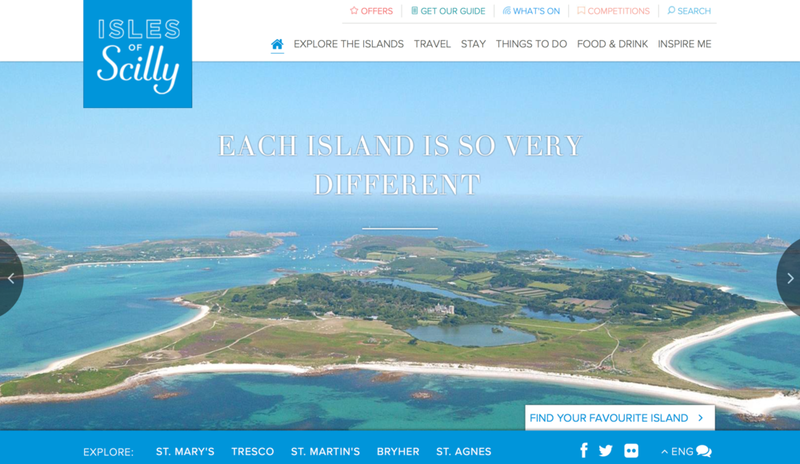 The homepage of the the current Visit Isles of Scilly Website. Image courtesy of Visit Isles of Scilly/Islands’ Partnership. Islands' Partnership has outlined what we can expect from Scilly’s new-look tourism website, and the island’s Council has set out some of the opportunities that can come out of the Smart Islands project.